In 1676, the world famous scientist Isaac Newton wrote to his fellow scientist Robert Hooke, "If I have seen further it is by standing on ye shoulders of Giants". Our speaker, Dr Mike Legget, explained in his talk "Astronomy in the ancient world" how modern astronomy´s foundations are built upon a long line of dedicated scientists reaching far back into the distant past. In fact many of them would not be considered scientists but would have been known as natural philosophers or astrologers. The basic instrument used in many cultures to measure the passage of time was the "gnomon". This is basically a stick that casts a shadow which moves across a graduated scale as the Sun sweeps across the sky. Together the stick and scale are better known as a sundial. In the northern hemisphere the stick is set at an angle that equals the latitude of the sundial´s location and points north. This ensures that it will be parallel to the rotational axis of the Earth. So, providing the Sun was not obscured by cloud you could tell the local solar time. Interestingly, a standard sundial will correctly tell the time on the night of a Full Moon with 12 noon on the scale representing 12 midnight. It can be used either side of a Full Moon but a table of corrected times need to be applied to the readings. To tell the time when it was cloudy or at night civilizations used water clocks where a regulated flow of liquid (usually water) dripped into another vessel where the amount of liquid was measured. Gradually the designs were improved by adding complex gearing and they were used for millennia until the 17th Century when more accurate pendulum clocks were invented. In a time when light pollution was unheard of, clear nights would have revealed familiar patterns of stars. These changed with the seasons and in agrarian societies the rising of certain constellations or stars would prompt the farmers to sow or harvest. For example about 5,000 years ago when the star Sirius rose just before sunrise the ancient Egyptians knew that this meant the Nile was about to flood and fertile soil would be delivered to their fields with the rising waters. 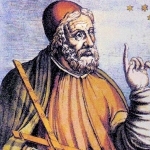 The Western world´s pattern of 88 constellations is based on those recorded by Claudius Ptolemaeus, (more commonly known as `Ptolemy´). However, many of these are sourced from Mesopotamian constellations as they had already defined those patterns we know as the Zodiac plus 18 others. The honour of best kept astronomical records should, perhaps fall to the ancient Chinese as one of the oldest printed star maps was created in 1092AD showing the 28 "mansions" with their corresponding stars. Predating this is a record of eclipses and novae on pieces of Chinese oracle bones, which were used for divination purposes. They also recorded the appearance of the supernova explosion known as the Crab Nebula in 1054AD, the earliest known solar eclipse, the earliest solar prominence, the earliest sunspot and so on, making up a veritable treasure trove of astronomical observations.